Missouri has the nickname of the “Show Me State,” and this state is located in the Midwestern United States. It is the eighteenth most populous state in the nation with over 6 million residents, and it is the twenty-first largest state by total area. For over 12,000 years humans have inhabited the Missouri area, and this state was a key component in the westward expansion of the United States. 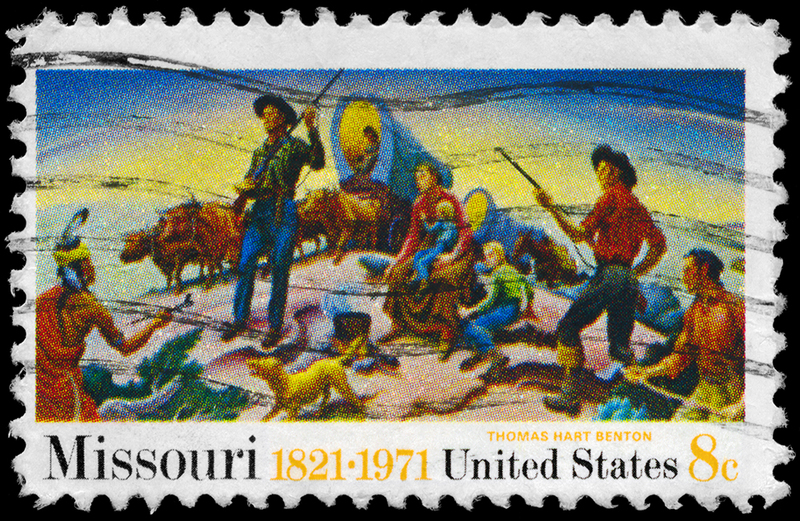 The state was the beginning point for the California Trail, Oregon Trail, Santa Fe Trail, and the Pony Express. The Show-Me State has good deals on real estate with some really popular cities that have a lot of attractions. Although the state did have some difficulties during the Great Recession, and continues to struggle in some areas, home ownership is Missouri is affordable, especially when combined with an inexpensive property tax. Local living depends on where you choose to live. Kansas City and the larger cities offer a more fast-paced lifestyle along with higher-paying jobs. You can also live in the suburbs where you get a mix of a more laid-back feel with tightly knit communities. There are more rural areas, small communities, and friendly neighborhoods dotted around the state. Missourians are known for being skeptical, hence the nickname of the “Show Me” state. If you want to live in a big city, you'll get a more fast-paced lifestyle while still retaining the smaller town vibe and charm. The thriving economy and lower cost of living cause people to come to this state to settle down. There is also a strong underground art scene that attracts many local artists to the state as well. Missouri has several higher education institutions located in and around the state, and this draws a younger generation to the various schools. People move away from Missouri because they want to experience other big city lifestyles that they may not get with the Midwestern feel of this state's cities. Also, the cities have several suburbs that may put younger people off and send them to other states in search of other living opportunities. Retirees are moving out of Missouri in search of a more laid-back place to retire and spend their golden years. Millennials and the younger generation find Missouri a very attractive place to live and work. The huge art scene draws a lot of people to the state as well. When you combine the lower cost of living with the various higher-paying jobs available in the cities, you have an irresistible combination for people just starting their careers or people who are looking for a large city with a friendly feel. Home prices in the state of Missouri tend to stay below the national average, which is in the low 230’s. In the Show-Me State, most home values are between $175,000 and $220,000. This range is significantly lower than average prices in New York and California, where homes typically sell for more than $400,000. The Missouri Association of Realtors pegs the average residential selling price in the state to be $193,000. The median figure is $160,000. The property group calculates that roughly 80,000 homes were sold last year in the state, and this is an increase of over 10% from the previous calculation. With the number of homes sold in Missouri ever year, the state sees over $1.5 billion in real estate transactions annually. Missouri’s prices are similar to those of its neighbors in the middle section of the country. Illinois, which shares a large border with the Show-Me State, has similar real estate values as Missouri, except in the Chicago area, where the state’s highest prices are found. Since the housing market crash, Missouri as a whole is doing well in the real estate market sector. The market didn't start to experience any trouble until the first quarter of 2007 when the market went from rising to a slight slowdown. This pattern continued until the end of 2007 when it hit a slight low and rebounded quickly to a peak in 2008. Once the market hit this peak in 2008, it started to drop until the third quarter of 2008 when it came to another sharp peak before dropping off once again. The housing market continued to fall until the third quarter of 2010 when it peaks for one final time before hitting its lowest point. However, Missouri's real estate market began to rebound very quickly. In 2011, the market saw a steep increase that fell back again in the middle of 2012. From that point on, the housing market began to make steady gains until the start of 2014. With 2014 came a rapid increase in the housing market that is continuing today. It is important to note that by the third quarter of 2016, Missouri's housing market was higher than it was prior to the crash. Unfortunately, Kansas City and St. Louis didn't fare as well during the housing market crash. Kansas City was experiencing trouble with its housing market as early as the first quarter of 2006. The housing market hit a slight peak that dropped off rapidly until the middle of 2006 when it started to rise quickly once again. This rise peaked in the middle of 2007, and then the market started to drop off. The market continued to fall until the end of 2008 when it hit another peak. From 2009 to 2010, the market continued to fall until it hit a plateau that lasted all of 2010. This plateau ended with another steep drop that peaked again in 2011. Once this peak was over, the market dropped again until it hit its lowest point in 2012. Since then, it has had a very rocky rise with peaks in 2013, 2014, and two in 2015. Since 2016, the market has been on an upward trend with a slight drop in the start of 2017. Kansas City's housing market did not reach pre-crash levels until the middle of 2016. Like Kansas City, St. Louis's housing market started to see signs of trouble in 2006 when the steady rise the market had been on abruptly slowed down. This slower trend continued until St. Louis's housing market hit its peak in the first quarter of 2008. After this peak, the housing market had a sharp drop until the third quarter of 2008; then it saw a sharp rise. Once 2009 came, the housing market started to fall, and it fell until the middle of 2010 when it hit a slight plateau. This plateau fell away quickly, and the housing market resumed its fall. The end of 2011 saw a slight peak, but this quickly resulted in yet another fall. Unlike the majority of the real estate markets, St. Louis's market didn't hit its lowest point until the middle of 2012, and it stayed low until the start of 2014. The market has been recovering quickly since then, and it hit its pre-market crash levels in the second quarter of 2017. Real estate prices have been increasing in the Show-Me State at more than 3% per annum. Property experts foresee this rate decreasing somewhat in the future, but prices are expected to rise over time nevertheless. The priciest homes in Missouri are in the southwestern part of the state. McDonald and Newton Counties, which border with Oklahoma, boast some of the Show-Me State’s most expensive homes. The number of days the typical single-family home stays on the market in Missouri is in the low 90’s. This represents an improvement of more than 100 days in previous years. In 2014, for example, it took 112 days on average for a home to sell. RealtyTrac, a property website that follows mortgage problems, estimates that the number of foreclosures in the Show-Me State is around one out of every 3,650 homes. This rate is much better than what is found in many other states. The national average is approximately one out of every 2,100 homes. As varied as Missouri's housing market as a whole fared against Kansas City and St. Louis, they all had relatively similar historical real estate trends. The start of 1991 brought about the beginning of a steady climb for the real estate markets. In 1994, the housing market saw a slight peak that quickly leveled off and resumed climbing. This steady climb continued well into the 2000s, and there were no significant drops or peaks. The third to the fourth quarter of 2003 brought a small spurt in the real estate market, and this leveled off once again by mid-2004. From 2004 to 2006, the real estate market experienced a slightly more rapid climb that had to major peaks or drops. The start of 2006 saw the first slight peak that the market had experienced since 2003, but this was also the first sign of trouble in the housing market. The second quarter of 2006 brought markedly slower growth, and this continued until the market dropped slightly in 2007 before going into its final peak at the start of 2008. Missouri, like many other states of the Union, fared badly during the Great Recession of 2007, and it’s still trying to climb back to pre-crisis housing values. Market research shows that the median home value in the state reached a peak around 2007 and 2008, and then began dropping precipitously. In late 2012, the bottom was reached, and prices have steadily been climbing back ever since. However, they still are not back to pre-2007 levels and at the current rate of appreciation, it will be several years before those values are realized again. According to the Federal Reserve Bank of St. Louis, the Show-Me State did better than its neighbors during the mortgage fiasco. Of the seven states that comprise the Eighth Federal Reserve District (Illinois, Indiana, Kentucky, Missouri, Arkansas, Mississippi, and Tennessee) Missouri and Tennessee showed the strongest recoveries. In fact, Missouri had the lowest mortgage delinquency rate in this group during most of the real estate fiasco. At the height of the Recession, fewer than 6% of homes in the Show-Me State were seriously behind on payments. The highest rate was in Illinois at 11%. The national average was 9%. Missouri’s average from 1979 to 2016 is 2.04%, better than the its neighbors and the U.S. as a whole. Homeownership across the state stood at 69.5% in 1984 and fell to 63.7% by 1989. Ownership then rose throughout the 1990s technology boom, peaking at 74.8% in 2002. Homeownership fell during the housing bubble to a low of 70.4% in 2007. Ownership remained fairly steady through 2014, when it once again began to decline from 70.5% to a low of 66.7% in 2016. Average home prices across the state fall in the bottom 25% for the country. Recent research places the average value of homes in Missouri between $175,000 and $220,000. In relative terms, California and New York that have the highest average home prices in the country with average prices in each of those states above $400,000. Missouri is on par with most of the Midwest, with the exception of Illinois, which is artificially inflated by the high prices in Chicago. Contrary to what one might expect, the most valuable homes are not located in the St. Louis area. They are higher there than in some of the more rural parts of the state, but the most valuable home in Missouri are in the southwest – the counties that border both Oklahoma and Arkansas. The average listing price for homes currently on the market in both Newton and McDonald counties is upwards of half a million dollars. Wealth and growth, however, are not always parallel. Despite the fact that prices are currently lower in St. Louis than elsewhere, the area is showing more growth. The state of Missouri has several rapidly-growing cities and some very large cities that are located all over the state. They each have significant draws for people to settle down and live in them as well. Although St. Louis may be the most famous city in the Show-Me State, Kansas City starts our survey because it is the largest. Sharing a border with Kansas City, Kansas, Missouri’s city is home to a population of 481,420 people. This population makes it the thirty-seventh largest city in the nation, and its total land area makes it the twenty-third largest city by land area. Kansas City is also part of the larger Kansas City Metro, and the combined population of the Metro is 2,104,509 people. There are currently over 146 Federal agencies in Kansas City, and this makes the Federal Government one of the largest employers and one of the largest economic supports. The IRS has over one million square feet of office space in Kansas City with more than 2,700 full-time workers. Other major employers in the area include Ford, who has a large factory just outside the city limits. A large pharmaceutical factory operated by Sanofi-Aventis is located in south Kansas City. Other job creators include the local public school system, Sprint, and several hospitals. Manufacturing, pharmaceuticals, agriculture, finance, business, and healthcare all make up large portions of the city's economy. You'll find everything from high-paying salaried jobs to a variety of retail work and startups here. This broad range of markets is a key component to how many people move here each year. Kansas City straddles the line between having a humid continental climate and a humid subtropical climate. The summer months are very hot and humid with July being the warmest month with temperatures in the mid-80s. January is traditionally the coldest month of the year with temperatures staying in the low 30s. There is also the possibility of ice storms throughout the winter months. Kansas City sits on the end of Tornado Alley, and the spring usually brings powerful storms that can include tornadoes. Additionally, late spring and early summer bring the potential for a lot of rainfall, and parts of the city are prone to flooding. Kansas City is home to a huge art scene, and there are dozens of museums and festivals for residents and tourists to visit. The County Club Plaza District is an exclusive part of this city with several high-end boutiques, shops, dining establishments and gorgeous Spanish architecture. If you like theater, the Kansas City Repertory Theater is one of the best performing arts theaters in the area. The Westport Entertainment District is home to one of the largest concentrations of live music venues in the city. Finally, art lovers can visit the Crossroads Art District for art galleries, festivals, shows, and pop-up galleries. Kansas City has countless cultural attractions. These range from professional music and ballet, which can be found at the Kauffman Center for the Performing Arts, to six large casinos. Specific districts of the city are known for certain themes, like restaurants, jazz music, and shopping districts. Professional sports are very popular, with famous teams like the Kansas City Chiefs and Royals. There are thirteen colleges and universities found around Kansas City, and the Kansas City Public School District has over 20,000 students enrolled. 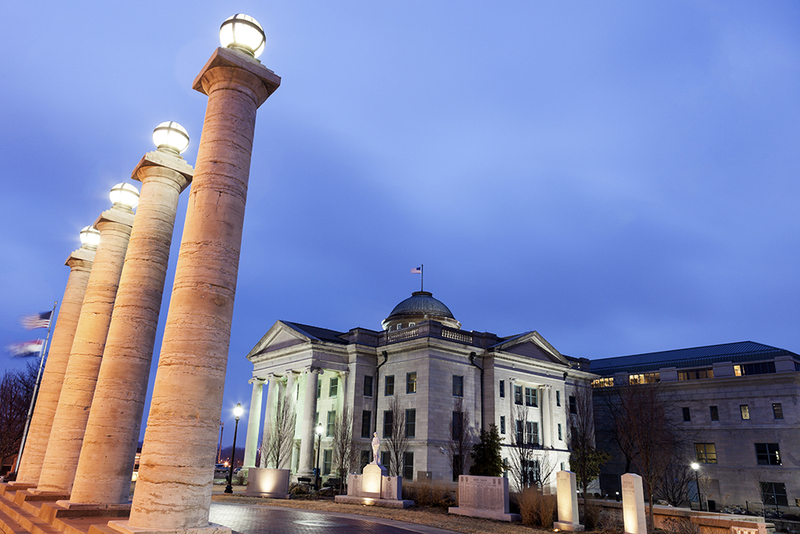 The University of Missouri-Kansas City serves over 15,000 students each year. Another top-ranked university in Kansas City is the private Kansas City University of Medicine and Biosciences. There are also smaller community colleges and technical colleges to attend including the Metropolitan Community College and the Kansas City Art Institute. The biggest employer in Kansas City is the Kansas City Public School District which features 16 school districts and employs over 30,172 staff. The Federal Government is the next largest employer in this city, and they employ an average of 30,000 employees year round. The third and fourth-largest employers in Kansas City are the Missouri State Government and the Cerner Corporation with 24,600 and 10,120 employees respectively. The current unemployment rate for Kansas City is slightly below the national average with recent job growth of over 1.5%. The quickly-growing economy can take credit for the recent job growth, but the influx of people moving to the state can be part of why the unemployment rate is so high. This may improve because over the next ten years Kansas City is projected to add over 40% more jobs. The local median home price for Kansas City is relatively inexpensive for a city this size at $125,200 with a price per square foot of $120. These prices have gone up by 8.7% over the past year, and they're predicted to rise another 4% in the coming year. The Kansas City Metro has a local median home price of $181,000. The price per square foot in the Metro is around $129. Combined with a median household income of $47,000, we see a price-to-income ratio of 3.85, which is pretty good. The second-largest city in the state of Missouri is St. Louis with a population of 311,404 people as of 2016. St. Louis is also part of the larger St. Louis Metro area with a combined population of 2,807,002 people. This population makes the St. Louis Metro the largest Metro in Missouri, and the nineteenth-largest in the nation. This city is located along the western bank of the Mississippi River, and St. Louis is considered to be the economic and cultural center of the St. Louis Metro. Like Kansas City, St. Louis offers many activities for the whole family, including its very popular Art Museum. The Cathedral Basilica of St. Louis hosts one of the largest mosaic compilations in the world. The city’s history of jazz music is noted in the local professional hockey team, the St. Louis Blues. The other professional team in the area is the Cardinals, one of the most famous teams in baseball. St. Louis’s economy is dominated by the health care industry, which is the largest employer in the city. Manufacturing and food services also provide many jobs. Anheuser-Busch has a large presence in St. Louis, although today it is a subsidiary of AB InBev, which is headquartered in Belgium. Other major corporations in the city include Scottrade, MasterCard, and Post Foods. The economy is thriving, and everything is pointing to a healthy, growing economy. 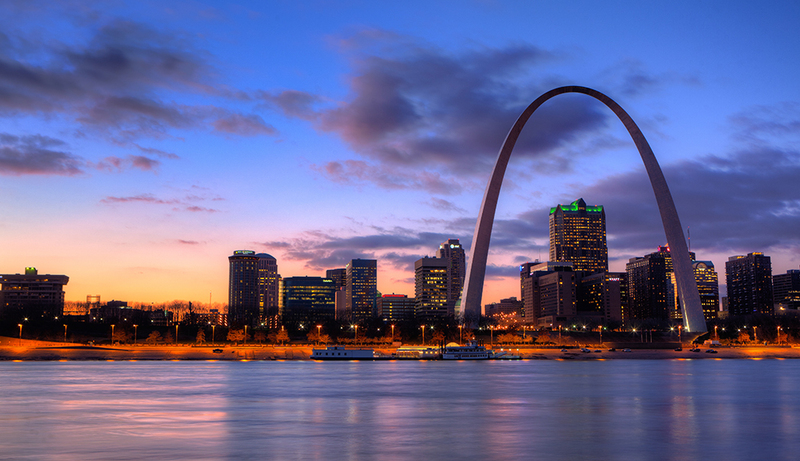 St. Louis is home to nine Fortune 500 companies, and this makes it the third-highest in the Midwest. Manufacturing, biotechnology, healthcare, retail, government, space, and security all contribute significantly to the economy. This broad range of companies means that there is a huge job market with dozens of industries and sectors to choose from. This diversity is one of the things that draws so many people to this city each year. St. Louis is located in a transitional zone between two climate zones and they both influence the climate. The humid subtropical climate and the humid continental climate both contribute to the local climate found in this city. The city has hot, humid summer months and cold, chilly winter months. The city gets cold Arctic air and hot, humid air from the Gulf of Mexico. The average temperature is around 50 degrees, but it can fluctuate wildly. St. Louis is also prone to thunderstorms, with some of them being severe. High winds, hail, and tornados are common in the spring months due to the city's proximity to Tornado Alley. Finally, the city is also prone to flooding in the late spring and early summer months. This city is a huge center for Roman Catholicism due to its history of Catholic immigrants and French past. St. Louis is also dominated by huge art and music scenes including the St. Louis Symphony which is the second-oldest symphony orchestra in the nation. 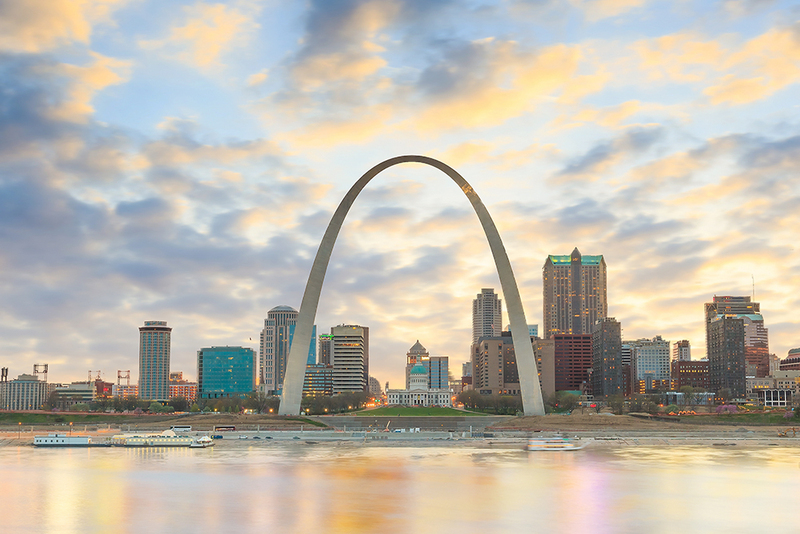 The Gateway Arch is found in downtown St. Louis, and it marks the city as a major historic landmark with dozens of places on the National Historic Registry. There are also over 100 parks in and around the city that have everything from traditional playground equipment to hiking to chess. The Missouri Botanical Garden is a popular park, or people can visit the Cathedral Basilica of St. Louis. There are several colleges and universities found in and around St. Louis. Students can choose to attend the large St. Louis University, or they can choose to go to Washington University in St. Louis. The St. Louis Public School District has over 75 schools and over 25,000 students enrolled. There are also several seminary schools and Catholic theological institutions to attend like the Kenrick-Glennon Seminary. The largest employer in St. Louis is the Washington University in St. Louis with over 15,600 employees. The second-largest employer in the city is BJC HealthCare with 14,100 employees. Finally, the third-largest employer in the city is St. Louis University with 10,250 employees. Despite the large economy, the unemployment rate is slightly higher than the national average. It did have a recent job growth of over 3%, so the economy is moving in the right direction. Over the next ten years, the economy could see improvement as it is slated to add over 40% more jobs to the current economy. The local median home price for St. Louis is $130,800 with a price per square foot of $116. These figures represent over a 16% growth in the past year, and the market is supposed to rise another 8% in the coming year. The St. Louis Metro has a local median home price of $179,500 with a price per square foot of $121. With a median household income of $37,000 from the U.S. Census Bureau, we get a median home price to income ratio of between 3.53 to 4.85. Springfield is the third-largest city in the state of Missouri with a population of 167,319. It is part of the larger Springfield Metro, and the combined population is 485,930 as of 2016. The city has the nickname of the “Queen City of the Ozarks,” and it is also known as the birthplace of historic Route 66. Springfield's economy has several strong sectors including healthcare, retail, manufacturing, education, and tourism. Each year, an estimated three million visitors visit the city and give the economy a boost. There are several large companies headquartered in and around this city. This city has four distinct seasons with high-velocity winds year round. It's located in the northern section of the humid subtropical climate, and this means the city experiences very high humidity and hot temperatures. Springfield has some of the most varied weather patterns in the nation. The downtown area of the city has experienced a revival in recent years, and this has enabled the city to get several trendy businesses, shops, and boutiques. People can visit the Air & Military Museum of the Ozarks, or take a day trip and visit the Trail of Tears National Historic Trail. The Springfield Public School District is the largest in the state with over 26,000 students. There are also several colleges and universities students can attend including the Missouri State University which has been ranked as one of the best colleges in the region. You can also attend the Ozarks Technical Community College. Healthcare dominates the economy in this city, and two of the three largest employers are healthcare related. The largest employer is Mercy Health System with over 9,000 employees. The second-largest employer is CoxHealth with over 7,800 employees. Finally, the third-largest employer is Wal-Mart with over 3,500 employees. Springfield has a strong economy with an unemployment rate that is below the national average. It has also had recent growth of over 3%, and it is looking to get stronger with future projects showing an increase of over 40% in job availability over the next ten years. The local median home price for Springfield is $118,200 with a price per square foot of $86. This shows a recent growth of 1% with a projected growth of 4% in the next year. The Springfield Metro has a local median home price of $136,700 and a price per square foot of $93. 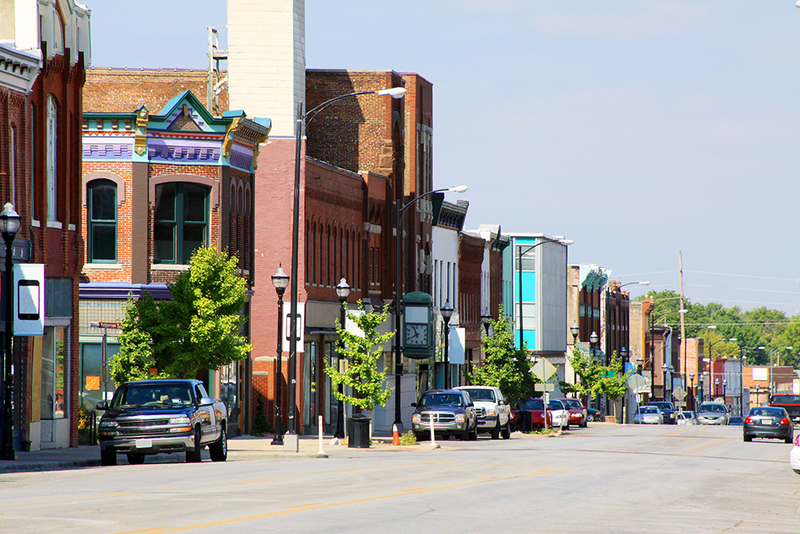 The fourth-largest city in Missouri is Columbia with a population of 120,612. This city makes up part of the larger Columbia Metro area, and the combined population is 176,579 people. 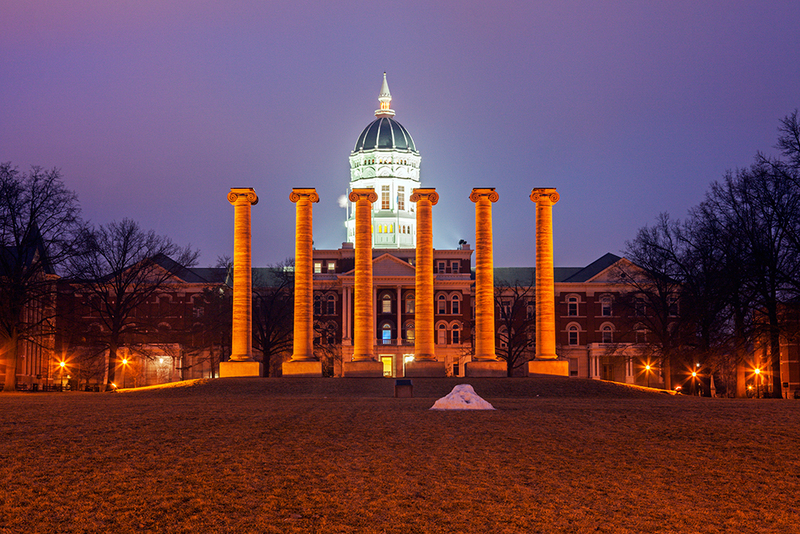 It is home to the University of Missouri, a major employer in the area. Local hospitals provide many jobs, as does Shelter Insurance, which is headquartered in the city. This city is classified as a college town with more progressive politics and views. Education is a driving factor of the local economy, and healthcare is the second-largest contributor along with the insurance industry. Additionally, government jobs are also common, and many people commute to and from Springfield every day for their job. Columbia also falls between the humid continental climate and the humid subtropic climate, and this makes the city experience sharp season temperature contrasts. There are also four distinct seasons, and Columbia is also prone to severe weather in the later spring months. The Missouri Theater Center for the Arts is one of the city's largest entertainment venues. Music is an important aspect of this city, and every year the 9th Street Summerfest hosts dozens of concerts for residents and tourists alike. Finally, the Show-Me State Games is hosted here, and it is the largest in the nation. The Columbia Public School District serves this city and over 17,000 students. Students can also choose to attend Stephens College which is located in the downtown sector of this city. Additionally, the University of Missouri System is headquartered in this city. The largest employer in this city is the Missouri State University with over 8,600 staff members. The second-largest employer in the city is the University of Missouri Health Care, and it has 4,400 employees. The third-largest employer is Columbia Public School District with 2,100 employees. Columbia has many educational attractions thanks to the local university. The Museum of Art and Archaeology has over 14,000 objects, and there is no admission charge. Several large libraries are located in the city, and the Missouri Tigers sports teams are a popular recreational activity. The unemployment rate is well below the national average in Columbia with recent job growth of over 3%. This trend is projected to continue as the city is slated to add an additional 40% more jobs to the economy in the next ten years. The local median home price in Columbia is $164,300 with an average price per square foot of $114. These prices have risen by 7% in the past year, and they're projected to rise another 5% in the oncoming year. The Columbia Metro has a local median home price of $227,200 and a price per square foot of $113. The median household income is $46,000. Thus, we see a ratios of 3.57 and 4.94 across the city and the metro area. The local economy is very dependent on the education sector along with aerospace engineering. In addition to these sectors, the healthcare and government sectors also contribute to the economic health of the city. July and August are the hottest months in this city with temperatures staying in the 80s. December, January, and February are the coldest months every year with temperatures in the mid-20s. There is also rain in the spring months that can be heavy through the spring and early summer. One of the biggest festivals in this city is celebrated every Labor Day, and it is called Santa-Cali-Gon Days. There are also several museums to visit including the National Frontier Trails Museum. The city is home to the Harry S. Truman Presidential Library & Museum. There are four public school districts that serve different parts of Independence. In addition to these schools, there are two colleges students can attend. They are the Blue River Community College and Graceland University. The largest employer in the city is the Independence School District with 2,200 year-round employees. The second-largest employer in the city is Orbital ATK (Lake City) with over 1,700 employees. Finally, the third-largest employer is Centerpoint Medical Center and they have 1,400 employees. The local economy is strong, and it currently has an unemployment rate that is below the national average. In addition to this, it has also seen over 3% job growth in the past year. Over the next ten years, jobs are predicted to grow by over 40%, which can work to strengthen the economy further. The local median home price is $104,700 as of 2016 with a price per square foot of $88. These prices have increased by 12% in the past year, and they're projected to increase another 5%. The Kansas City Metro has a local median home price of $181,000. The price per square foot in the Metro is around $129. The sixth-largest city in Missouri is Lee's Summit with a population of 76,076. It is part of the Kansas City Metro, and the combined population is 2,104,509. This city has been ranked as one of the best cities to live in in the nation. The government and the education industries dominate the economy in Lee's Summit, and they make up the three largest employers as well. Healthcare is another large economic contributor, and these all make for a very sustainable and stable economy. Lee's Summit experiences a humid continental climate with very hot and humid summers and cold winters. There are four distinct seasons here as well. The highs in the summer months are around the low 90s, and the winter months bring temperatures that stay around the mid-40s. The city is known for its many historic districts along with its many parks and recreational activities. There are also several higher education opportunities here including Baker University and the Metropolitan Community College (Kansas City). The local economy is strong, and the largest employer is Lee's Summit R-7 Schools with 7,200 employees. The second-largest employer is Central Missouri State University with 2,000 employees, and the third-largest employer is the City of Lee's Summit with 1,3000 employees. The local median home price is $206,400 with a price per square foot of $133. These prices have risen by 4% over the past year, and they're on track to rise another 3.5% in the coming year. The Kansas City Metro has a local median home price of $181,000. The price per square foot in the Metro is around $129. According to the United States Census an estimated 6,093,000 people live in the state of Missouri. The state has 68,741.52 mi² of land area, which gave it a population density of 88.64 per mi². Here is a list of cities, towns, villages & Census Designated Places with more than 2,500 residents, with their estimated population as of June 2016 & the 2010 United States Census. For Census Designated Places (CDP) where there was no population estimate available for 2016 the 2011-2015 American Community Survey 5-Year Estimates data was used. As of 2019 the conforming loan limit across the United States is set to $484,350, with a ceiling of 150% that amount in areas where median home values are higher. High local affordability makes the $484,350 ceiling apply statewide for single unit homes. Dual unit homes have a limit of $620,200, triple unit homes have a limit of $749,650 & quadruple unit homes have a limit of $931,600. People buying premium properties in the Kansas City metro area & mansions in the Ozarks may be above these thresholds, requiring a jumbo loan. Jumbo loans typically have a slightly higher rate of interest than conforming mortgages, though spreads vary based on credit market conditions. The most popular type of loan is a 30 year mortgage. Given that homes are quite affordable across the state due to high local incomes, 15 year fixed loans are another popular option which helps home buyers build equity faster and save on interest expenses. Adjustable rate mortgages (ARM) are also an option for potential homeowners who don't believe they will live in the home for many years and want to write off interest payments. Balloon mortgages are another route for aspiring homeowners. Balloon mortgages are when a large portion of the borrowed principle is repaid in a single payment at the end of the loan period. Balloon loans are not common for most residential buyers, but are more common for commercial loans and people with significant financial assets. Mortgage underwriters prefer debt-to-income ratios to be below 40%, but other factors are considered on the loan application. When qualifying for a loan, a credit score of 720 or better can help secure a favorable loan. As a general rule of thumb, coming to the table with a 20 percent down payment is usually the best approach. This down payment requirement does not apply for Federal assistance programs such as FHA, in which applicants can have a lower credit score and income but still receive financing. The Department of Housing and Urban Development (HUD) offers special loan programs such as FHA loans to those who may not qualify for conventional loans due to a lower credit score or a limited down payment. Military veterans can take advantage of VA loans which offer affordable rates & do not require a down payment. In addition to on-going assistance, the rental assistance service can provide a one-time payment to assist qualified candidates in certain situations, such as to prevent eviction. The eligibility criteria are similar to the on-going program. Although the Rapid Rehousing program looks attractive, it did run out of state funding in the summer of 2017, a sign that it may have budgetary problems in the future. The Missouri Housing Development Commission is a government agency that operates several programs to help low-income families find safe and affordable real estate. First-time homebuyers, generously defined as persons who have not owned a home in the past three years, are eligible for the institution’s First Place Loan Program. The Housing Development Commission also helps military veterans and repeat homebuyers; and it offers grants to qualified home owners to help with needed home repairs. The cash assistance mortgage program was designed for low or moderately low-income households. First-time homebuyers can receive a cash loan this is forgivable over a ten-year span, and it comes in the form of a second mortgage. The loan has a cap of 4% of the original loan amount, and it is used to help cover the down payment and closing costs fees. This loan will start to diminish after the applicant hits year five by 1/60 a month, or 12/60 a year. Applicants must be first-time homebuyers and meet certain income requirements that vary from county to county. They must also purchase a single-family home or a duplex and stay under the area's housing price cap. The Non-Cash Assistance Loan program is for first-time homebuyers who don't need down payment or closing costs help. This mortgage can be used to purchase a single-family or a duplex home, and it has an interest rate that is lower than a conventional loan. The applicant will get lower monthly mortgage payments, and it is designed for low-income homebuyers. Any homebuyer will have to meet certain income requirements that vary from county to county. Additionally, the house they want to purchase must fall below the area's housing price cap. Some cities and counties also offer generous local housing assitance programs. Homeowner's insurance policies typically do not cover flooding. Most of the state of Missouri is considered to have a very low flooding risk. Counties with relatively elevated risks are listed below. Most of Missouri has a very low earthquake risk. The southwest edge of the state near where Arkansas, Illinois, Indiana, Kentucky, Tennessee, and Missouri converge there is a fault line which leads to moderate to high earthquake risk. Here is a list of counties with a risk profile above very low. Much of the state is considered to have a moderate to high tornado risk. The area near the Illiois border south of St. Louis has a very high tornado risk. A basic homeowners policy should cover financial damages from tornadoes. Hail damage is exceptionally common across the state. Damage from hail is typically covered by home insurance policies. County governments assess property once every other year in Missouri, and taxes are due by the end of December every year. Failure to pay by the 31st results in a 10% penalty. Assessed value is simply 19% of market value. The effective property tax rate in Missouri in 2016 was 1.11%. This is lower than the national average of 1.24%. There is wide variation from county to county in the Show-Me State, with the low end at 0.50% and the highest rate (in St. Louis County) at 1.38%. When it comes to property taxes, Missouri ranks as the sixteenth-lowest state in the nation. On average, it collects $1,923 per year, and this works out to around 2.49% of the property owner's income. St. Louis County collects the highest property taxes at $2,530.00 while Shannon County collects the least property taxes per year at $348. Missouri allows homeowners to protect a percentage of their property in the event the homeowner suffers from an unexpected bankruptcy. Missouri has a $15,000 cap on homes, surrounding land, and corresponding buildings and it absolutely cannot exceed the $15,000 cap. Homeowners can also choose to enact the Federal Homestead Law instead of the state one, and the Federal Homestead law has a cap of $22,975. However, this can include burial plots, mobile homes, houses, and condos. It does require a prior 40-month occupancy prior to declaring the Federal Homestead Protection. Traditional Mortgages – Under a traditional mortgage, the lender (the mortgagor) advances the money to the borrower (the mortgagee). To protect its interest in the property, the mortgagor is granted a lien against the property that must be lifted before the property can be sold. In the event of a default, these two parties stand at odds and must have a court decide the matter (see the discussion of judicial foreclosure below). This is the most common mortgage structure in the United States. Deed in Trust Mortgages – Under a deed of trust arrangement, there are three parties involved, rather than two: a beneficiary, a trustee, and a trustor. The homeowner is the trustor, because he or she is “trusted” with the capital and the property. The lender, who receives the profit in terms of interest payments, is the beneficiary. In addition, there is a third-party involved that holds the deed on the property in trust until the loan is satisfied (see the discussion of non-judicial foreclosure below). This structure is preferred in Missouri, and though it is available in other states, it is less common. In Missouri, mortgage lenders are allowed to foreclosure in both judicial and nonjudicial foreclosures. However, most Missouri mortgage lenders choose to go the nonjudicial route as it is usually a faster process with more lenient guidelines. Missouri lenders tend to prefer the deed of trust structure for lending money to home buyers. This permits a non-judicial foreclosure in the event of a default. If this occurs, because of the structure, the lender asks the trustee to sell the property based on the terms of the trust created in the mortgage. If a judicial foreclosure is used, meaning that a traditional lien mortgage was used when the loan was made, the lender must file suit against the borrower. The court then oversees the foreclosure process. Home foreclosures in the Show-Me State can be either judicial or nonjudicial. A judicial foreclosure is one where a lawsuit is filed in county court. This type of proceeding is less common than the nonjudicial variety, where a trustee is named in the loan agreement. If you default on your mortgage, the trustee has the right to auction off the house after publicizing the sale at least twenty times in a local newspaper. When the lender uses the foreclosure by trustee sale approach, Missouri law requires that the sale begin with publication of the sale. The initial paperwork that must be completed prior to the sale can take as long as 60 days. Once this is completed, the publication must be made for a minimum of 10 days. This is done to ensure that a sufficient number of bidders come to the sale. If there is healthy bidding, the price will be closer to fair market value. This makes it more likely that the sale price will cover the amount of the loan. As a recourse sate, getting top dollar for a forced sale is particularly important to the defaulting homeowner. While the right of redemption is strictly limited in Missouri, the redemption period lasts for 365 days after the sale. This allows the homeowner to repurchase the home at the sale price. This option is only available in Missouri if the winning bidder at the sale was the primary lender. The lender would buy the house at auction if it believes that the fair market value is enough higher to make it a good investment. The law is written this was to protect homeowners – if the lender could purchase the home below market value and then flip the house, homeowners would lose the benefits of any equity. The law is designed to protect the interests of all parties involved. In 2012, the Missouri Supreme Court upheld a state law allowing for deficiency judgments. A deficiency judgment is used to pursue the personal assets of a defaulted homeowner if the auction price of his house doesn’t cover the amount owed to a bank. Without this legal measure, a lender can only go after the collateral stated in the mortgage agreement, which is usually just the house itself. Obviously, whether a state permits deficiency judgments could be a really important issue if you have a mortgage. Missouri is also classified as a recourse state. This means that the mortgage lender can sue the defaulted homeowner for any deficiencies they may have accrued due to the auction, a deed in lieu of foreclosure, or short sale of the defaulted property. If a homeowner purchases a home for $150,000 and stops making payments, the mortgage company will foreclose on the property. Say the mortgage company sold the property for $90,000 at an auction and had a deficiency of $60,000. The mortgage lender can now start collections proceedings against the defaulted homeowner to recover the deficient $60,000. These proceedings including levying the defaulted borrower's bank accounts and garnishing their wages.